CHICAGO: Illinois-based Hoffer Plastics Corporation- a global supplier of custom injection molded parts, has been awarded the prestigious Processor of the year Award by Plastic News. The award was presented to the company at a evening reception held Tuesday during the Plastic News Executive Forum 2013 in Tampa, Florida. The award was accepted on behalf of the company by the President William Hoffer. Hoffer won the award after tough competition. The other finalists were Rodon Group LLC, a custom molder and DeKalb Molded Plastics Co., a structural foam molder. 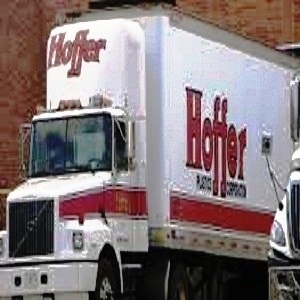 The Hoffer generated a huge sale of $75 million in 2012. The sale centered mostly on retail packaging, consumer industrial, automotive, medical, and appliance industries. Hoffer Plastics Corporation established in 1953 is a global supplier of tight-tolerance, custom injection molded parts. The company which runs approximately 110 injection molding presses also employs as many as 350 people. Plastics News also named winners of other three Plastic News’ Excellence Awards during the occasion. The award for Customer Relations was won by Plastic Molding Technology, a custom injection molder in El Paso. DeKalb Molded Plastics picked up the award for Employee Relations. The award for Best Industry and Public Service was presented to Rodon Group.